Modern Cities visits a treasured urban core destination that's been serving the community and incubating homegrown small businesses since 1938: The Jacksonville Farmers Market. 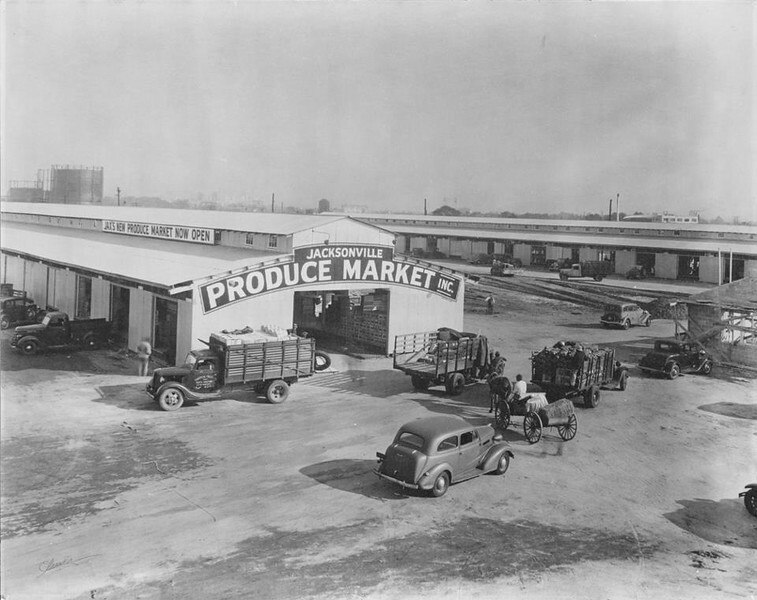 The Jacksonville Produce Market in 1938. Courtesy of the Jacksonville Farmers Market. Attracting 25,000 people a week from all over the Southeast, the Jacksonville Farmers Market is a treasured tradition and unique in that it’s an actual working market with wholesale and retail operations taking place simultaneously. Here you’ll find as many as 100 farmers and vendors selling seasonal, ethnic, organic, specialty and unique items such as fresh seafood, flowers, plants, honey boiled peanuts, syrups, gourmet dressings and even live goats and chickens throughout the year. Located in the Rail Yard District, the Jacksonville Farmers Market is the oldest in the state, with 80 years of continuous operation under its belt. 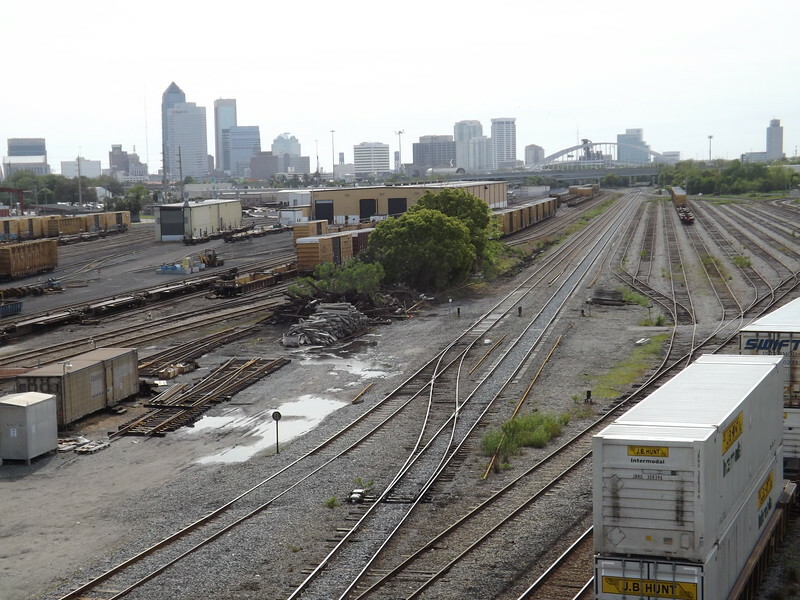 Situated one mile west of Downtown Jacksonville, the market operates in a wholesale and industrial neighborhood that owes its existence to late 19th century railroad magnate Henry Flagler. Seeing the need for a large single railroad terminal to serve the city, in 1893, Flagler established the Jacksonville Terminal Company on the banks of McCoys Creek in nearby LaVilla. To serve the city’s new passenger depot, a railyard stretching nearly a mile in length was built between the depot and West Beaver Street. By 1925, the land surrounding Honeymoon Yard had become home to a REA packaging facility, factories and mills due to several rail lines in the vicinity making the district efficient for the transportation of goods and shipping of raw materials. With the REA operating much like today’s UPS, virtually everything was shipped from Honeymoon Yard including fruit, fish, flowers, bicycles, coffins, zoo animals, pets, racehorse’s motion picture film, anything and everything. By early 1930s, the Duval Market & Association, a market featuring more than 40 vendors, a barbershop, coffee shop and restaurant opened adjacent to the REA on the east side of Honeymoon Yard. 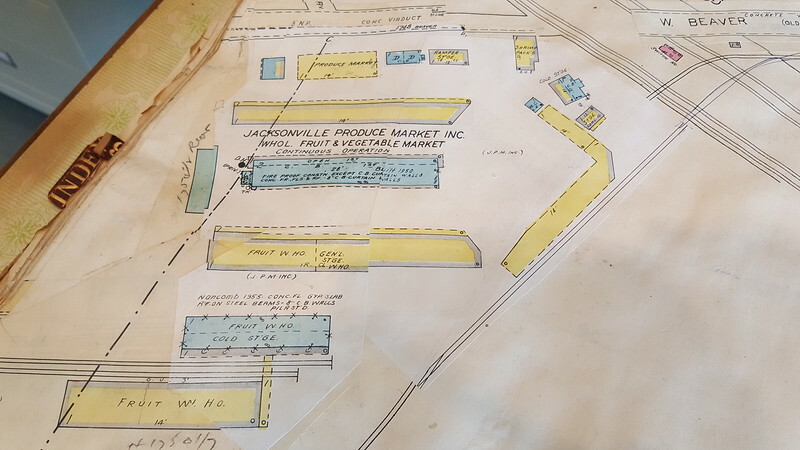 In 1938, the much larger Jacksonville Produce Market (original name) opened on the west side of the railyard, leading to the Duval Market’s decline and ultimate closure. The presence of the Great Atlantic & Pacific Tea Company’s (A&P) Southeastern headquarters dominated the scene for the market’s first 30 years. 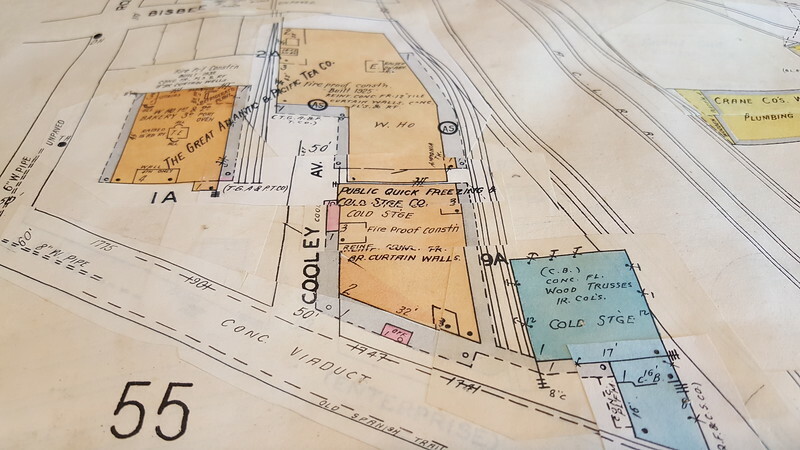 While A&P’s produce packing operations were located within the market while the company’s bakery and 8 O’clock coffee roasting plant operated across the street. 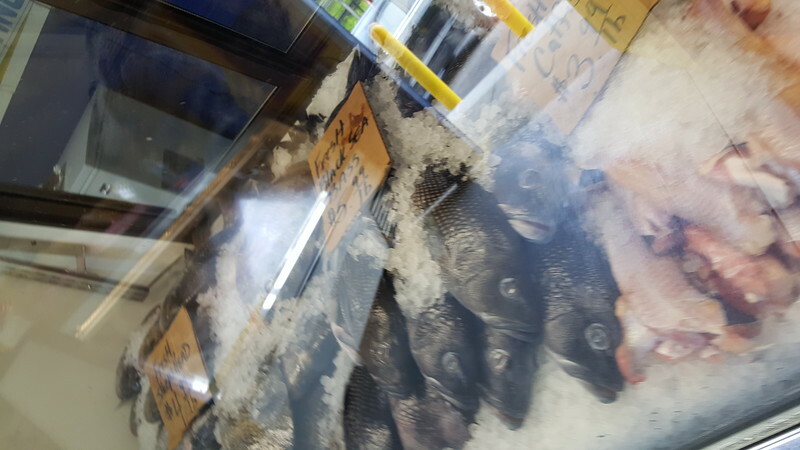 While the coffee roasting plant ceased operations in 1990, Beaver Street Fisheries (BSF) acquired most of A&P’s former facilities after the grocer developed a new distribution hub in Jacksonville’s Northside in 1968. While the market’s original buildings were wood and sheet metal construction, concrete block structures were added over the next few decades as the market morphed into a small business incubator, stimulating complementing growth in the immediate vicinity. 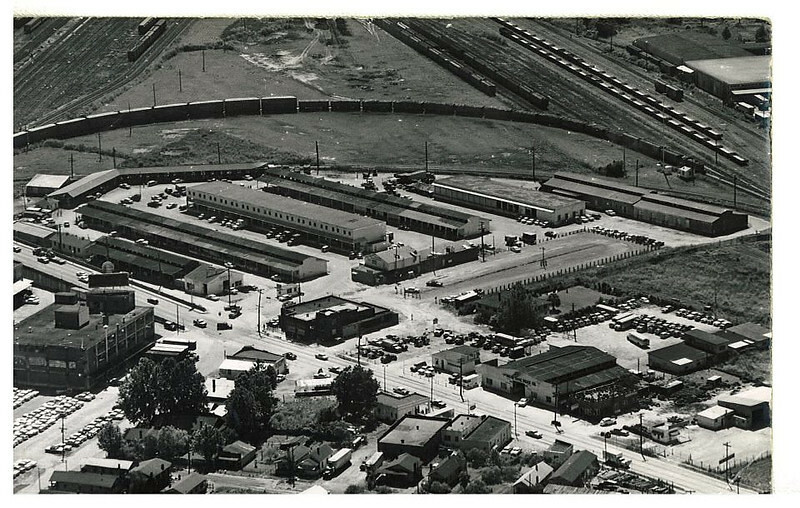 A historic aerial of Beaver Street, the Jacksonville Farmers Market and Honeymoon Yard. Courtesy of the Jacksonville Farmers Market. Abdo Asker’s Premier Meat Market was one of the small businesses birthed by the market. An early 1960s market tenant, Asker’s business was embraced by the community as the place to go for hard-to-find soul food-type meat products such as ham hocks, chitterlings and neck bones. By the time the business closed in 2005, Premier had expanded into a small grocery chain with stores as far south as Orlando. After Premier closed, the Jacksonville Farmers Market acquired the former 28,000 square foot meat market and grocery store with plans to eventually convert the vacant space into an indoor public market, demonstration kitchen and conference center. The Steer Room was another famed market tenant. From the late 1940s through the late 1970s, known for serving thick, juicy, well-aged steaks of prime western beef, Fred Abood’s Steer Room was said to be the best steakhouse in the city. According to Lost Restaurants of Jacksonville by Dorothy K. Fletcher, “Fred Abood’s Steer Room was the rendezvous of customer and client, old friends well met or you and your favorite date. A Steer Room steak is a sure way to any man or woman’s heart.” Abood eventually sold the farmers market steakhouse to Sanford “Sandy” Edwards. In 1977, the restaurant went up in flames, leading to Edwards spending four months in jail for arson charges. In 1986, BSF purchased the farmers market property for future expansion. That growth potential was realized in 2006 when BSF teamed up with Preferred Freezer Services (PSF) to construct a $28 million, six story, 185,000 square-foot frozen food storage facility. To continue to operate the historic market as a community service, BSF built new market sheds just west of the original 1938 location to create space for the PSF operation. Fresh off the completion of a project that widened sidewalks and added metal awnings to the market’s sheds, as it turns 80 in 2018 the Jacksonville Farmers Market continues to serve as a small business incubator and unique urban core destination. Open seven days a week, the Jacksonville Farmers Market is located just west of the Beaver Street viaduct at 1810 West Beaver Street (U.S. 90), one mile west of downtown Jacksonville and Interstate 95.